Product prices and availability are accurate as of 2019-04-13 19:58:24 EDT and are subject to change. Any price and availability information displayed on http://www.amazon.com/ at the time of purchase will apply to the purchase of this product. 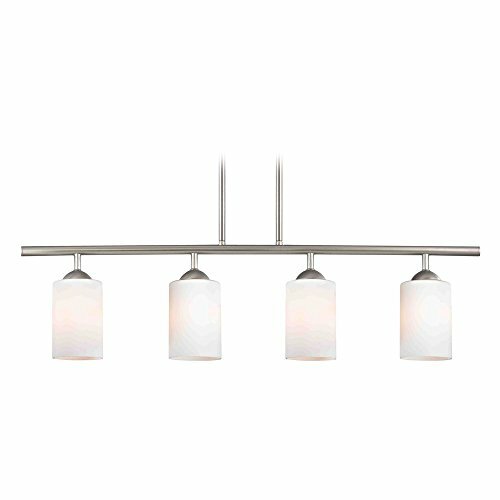 Modern Linear Pendant Light with 4-Lights and White Glass in Satin Nickel Finish Modern satin nickel 4-light pendant light. 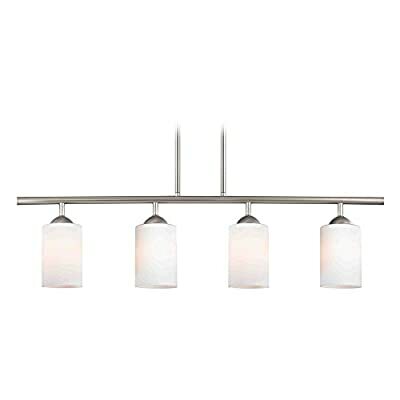 Takes four 100-watt medium base frosted light bulbs (not included). 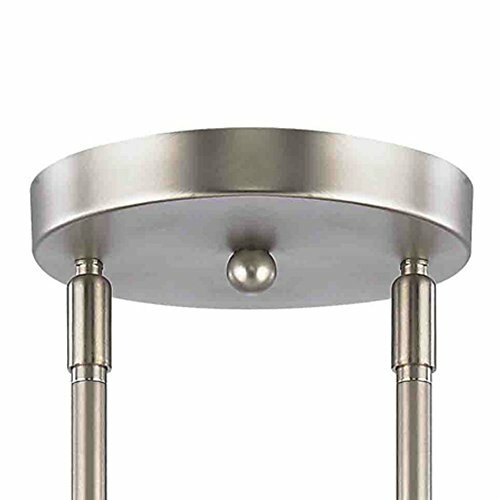 This island light comes with two 6-inch and six 12-inch downrods and 6.7 feet of wire that allows the overall height to be adjusted between 17-7/8-inches and 53-7/8-inches. Suitable for installation in dry locations only. 120 volts line voltage. UL / CUL certified. 11.88 in x 34 in. 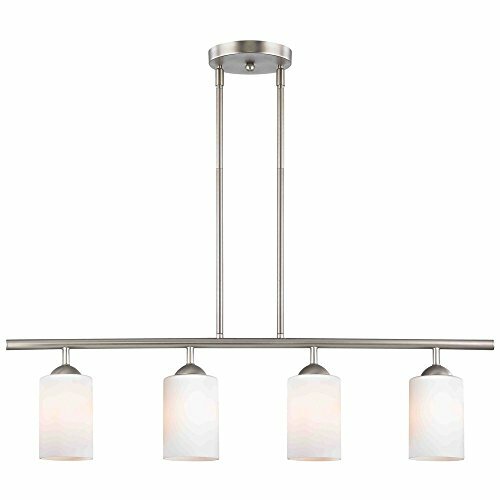 Design Classics Modern Linear Pendant Light w/ 4-Lights & White Glass in Satin Nickel - Steel Ceiling Fixture - 11.88 in X 34 In.